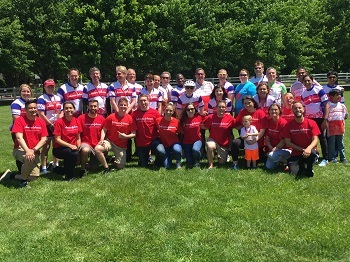 For more than 65 years Our Credo has guided Johnson & Johnson's (J&J) commitment to the community. Our Family of Companies shares this value system across the globe, getting involved in the communities in which we live and work. 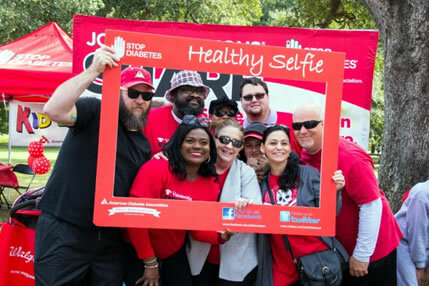 Each year, many Johnson & Johnson operating companies come together to help fight diabetes by forming a global team, aptly named "Team Johnson & Johnson". 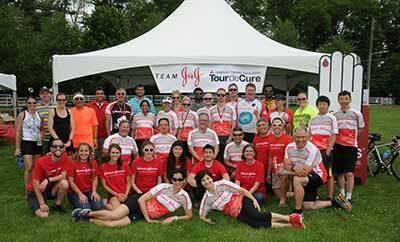 J&J has been committed to the ADA's Tour de Cure events for over a decade and has been the #1 or 2 national team for the last seven years. 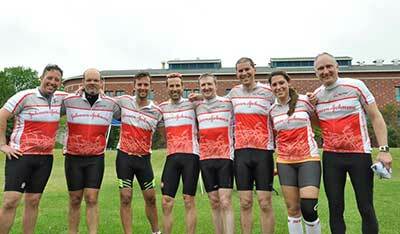 Everyone is welcome to join one of the many teams within our J&J National Team. To find a ride near you, click the register button above and select your state. Click the “create a team” or “join a team” button above to participate on a J&J team by either creating a J&J team or joining an existing one. J&J matches donations of $25 or more made by employees, 2 to 1. Don't miss out on increasing your fundraising total by asking your J&J sponsors to request the match using these instructions. To ensure offline gifts show on your personal webpage, follow these instructions to manually add the amount matched by J&J. The ADA has many great incentives for different levels of fundraising. 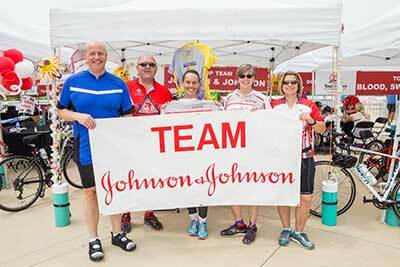 All members of Team J&J can qualify to get a Team J&J cycling jersey by raising at least $350. Online store for J&J cycling apparel (shorts, arm warmers, jackets, vests, jerseys). These items are for purchase and 15% of the sales will go to our National Team fundraising. More information can be found in the ADA's FAQs, including a Team Captain and Fundraising Guides. Team captains should only order jerseys for team members who raise at least $350. Don’t forget to visit the online store to order additional J&J cycling apparel (shorts, arm warmers, jackets, etc.). 15% of the sales will be donated directly to ADA on behalf of Team J&J.